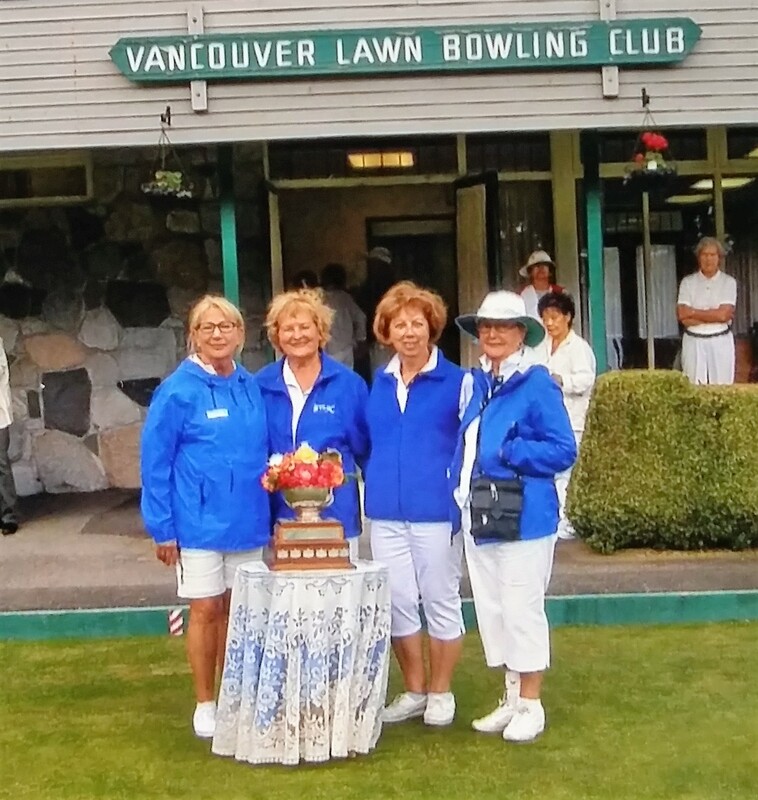 The Alexander Cup was awarded many years ago in competition between the many Canadian Pacific Lawn Bowling Clubs across BC and Alberta. 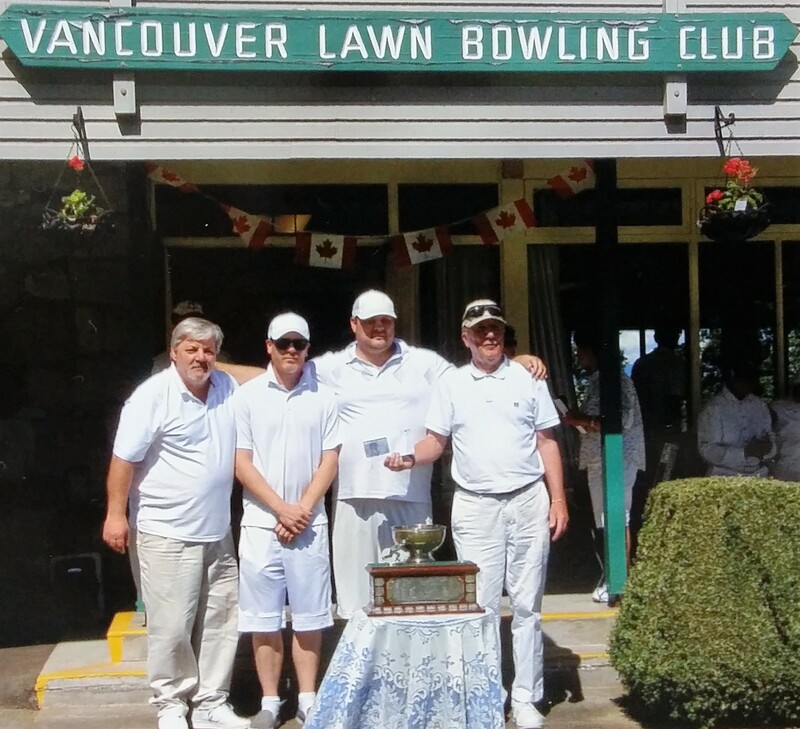 Lorne, at the CP Lawn Bowling Club of Victoria saved the Cup from oblivion on a dusty back shelf. 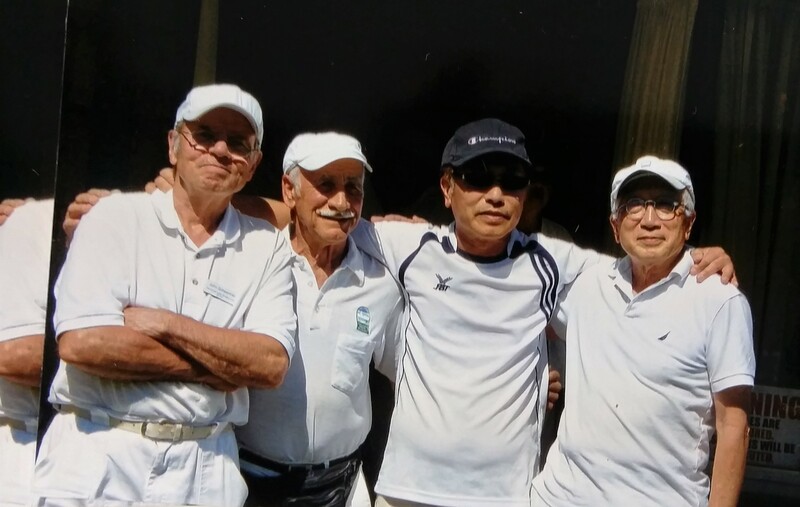 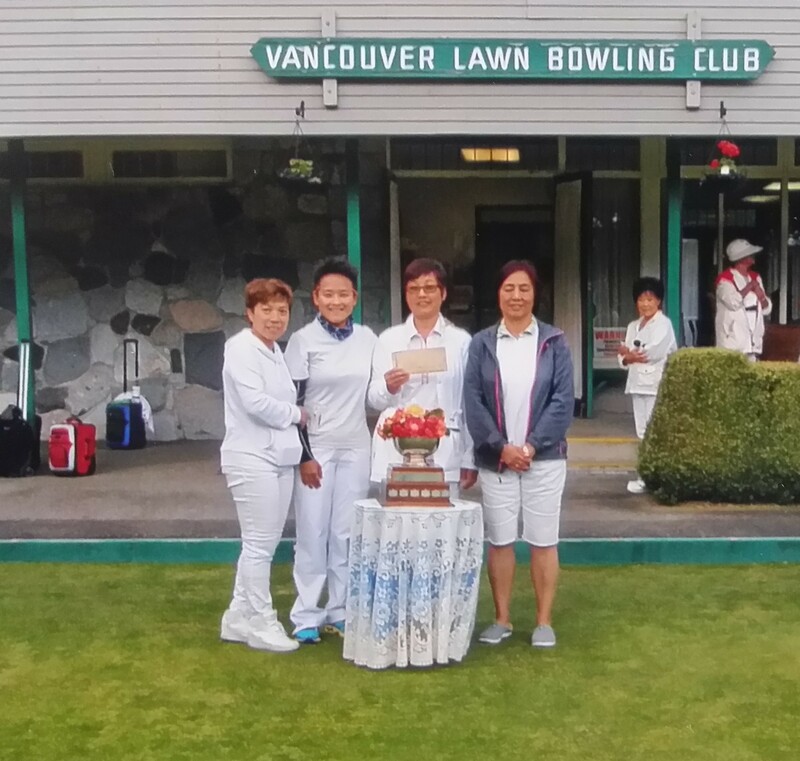 He challenged the Vancouver Lawn Bowling Club in 2012 to a home-and-home series every 2 years. 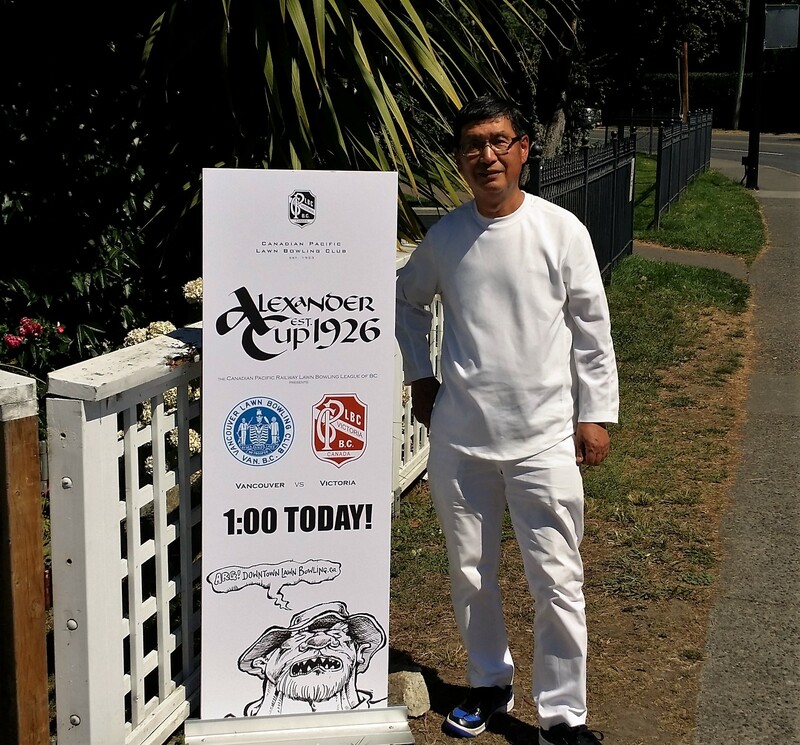 Both clubs have won it since. 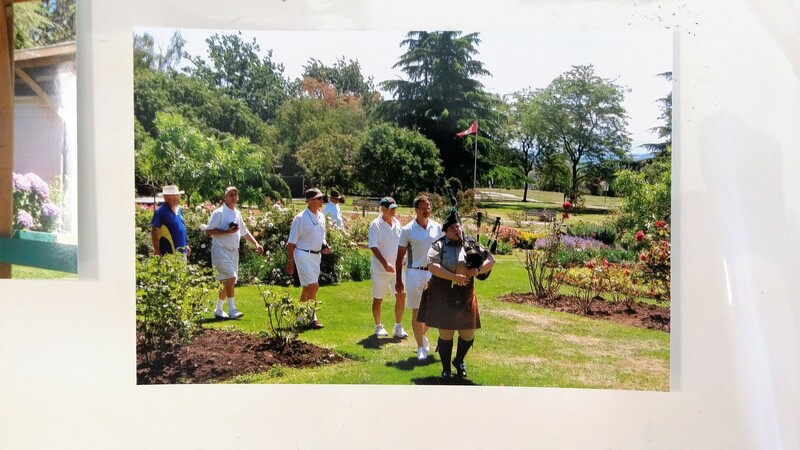 This year it was the turn of Vancouver. 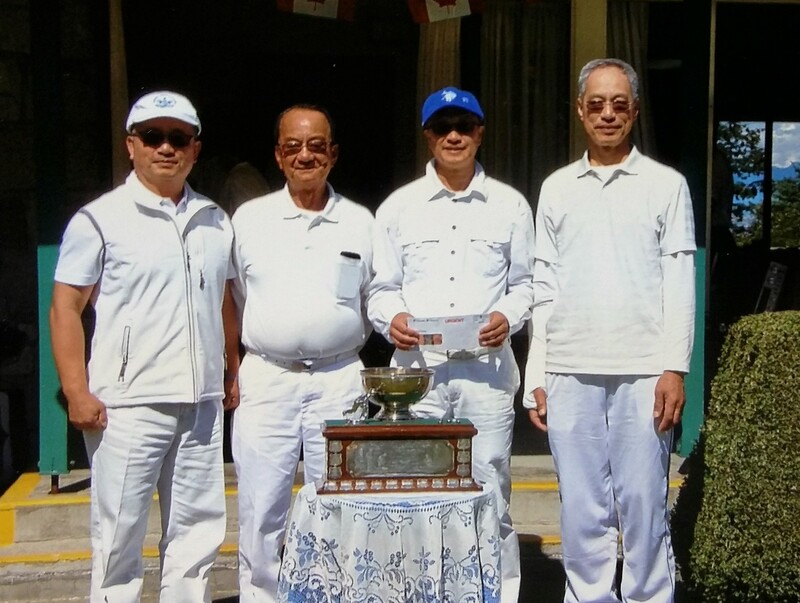 Elmer holds the Cup. 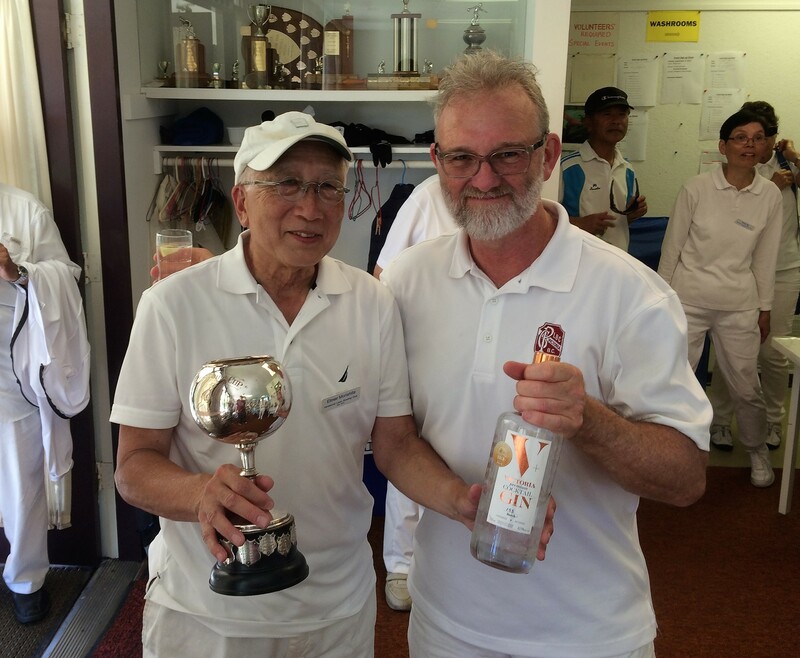 Lorne holds the consolation. 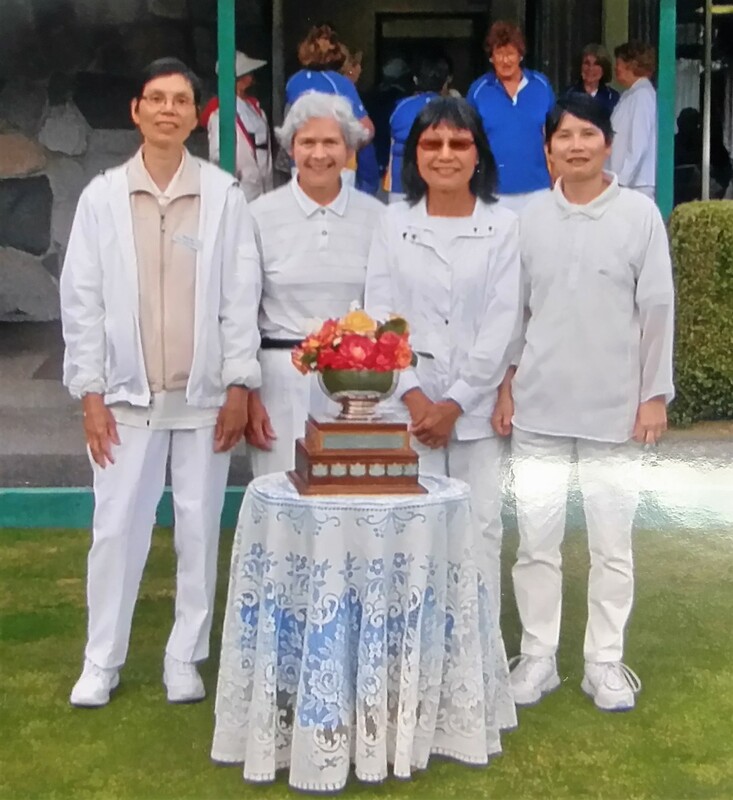 On June 9th a full slate of ladies played hard for the Tournament of Roses at the Vancouver Lawn Bowling Club. 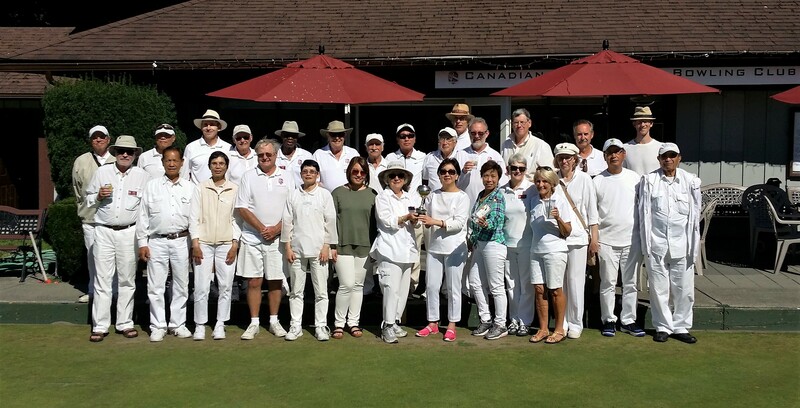 The sunny weather reflected the smiles on players faces.